Navicat Monitor is a safe, simple and agentless remote server monitoring tool that is packed with powerful features to make your monitoring effective as possible. 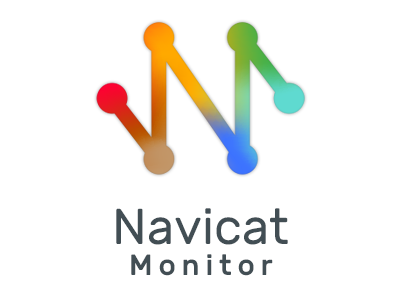 Navicat Monitor applies agentless architecture to monitor your MySQL and MariaDB servers, and collect metrics at regular intervals. It collects process metrics such as CPU load, RAM usage, and a variety of other resources over SSH/SNMP. Navicat Monitor can be installed on any local computer or virtual machine and does not require any software installation on the servers being monitored. Note: For the License Agreement of Navicat Monitor, please click here. "Not For Resale (NFR) Version" means a version, so identified, of the Software to be used to review and evaluate the Software, only. "PremiumSoft" means PREMIUMSOFT CYBERTECH LTD. and its licensors, if any. "Software" means only the PremiumSoft software program(s) and third party software programs, in each case, supplied by PremiumSoft herewith, and corresponding documentation, associated media, printed materials, and online or electronic documentation. "Unregistered version", "Trial version" or "Demo version" means an unregistered copy of the SOFTWARE ("UNREGISTERED SOFTWARE") which may be used by the USER for evaluation purposes for a period of fourteen (14) days following the initial installation of the UNREGISTERED SOFTWARE. The UNREGISTERED SOFTWARE may be freely copied and distributed to other users for their evaluation. The Trial version of the Software has a 14-day evaluation license. During the evaluation period, it provides you the flexibility to monitor and view data for an unrestricted number of database instances. After the evaluation period, to continue monitoring you must purchase the appropriate quantity of Token for your database instances. And use the License Allocation to configure how your Tokens are allocated to your registered database instances. The Software starts monitoring activated database instances immediately after you allocate your Tokens. You can deallocate a Token from one database instance in order to allocate it to another instance. You agree that PremiumSoft may audit your use of the Software for compliance with these terms at any time, upon reasonable notice. In the event that such audit reveals any use of the Software by you other than in full compliance with the terms of this Agreement, you shall reimburse PremiumSoft for all reasonable expenses related to such audit in addition to any other liabilities you may incur as a result of such non-compliance. Other than as set forth in Section 2, you may not make or distribute copies of the Software, or electronically transfer the Software from one computer to another or over a network. Other than with respect to a Trial / Demo Version or a Not For Resale Version of the Software, you may permanently transfer all of your rights under this EULA only as part of a sale or transfer, provided you retain no copies, you transfer all of the Software (including all component parts, the media and printed materials, any upgrades, this EULA, the serial numbers, and, if applicable, all other software products provided together with the Software), and the recipient agrees to the terms of this EULA. If the Software is an upgrade, any transfer must include all prior versions of the Software from which you are upgrading. If the copy of the Software is licensed as part of the whole Studio (a suite of products), the Software shall be transferred only with and as part of the sale or transfer of the whole Studio, and not separately. You may retain no copies of the Software. You may not sell or transfer any Trial / Demo Version or Not For Resale Version of the Software. Unless otherwise provided herein, you may not modify the Software or create derivative works based upon the Software. Unless otherwise provided herein, you shall not in the aggregate, install or use more than one copy of the Trial / Demo Version, download the Trial / Demo Version under more than one username, alter the contents of a hard drive or computer system to enable the use of the Trial / Demo Version of the Software for an aggregate period in excess of the trial period for one license to such Trial / Demo Version, disclose the results of software performance benchmarks obtained using the Trial / Demo Version to any third party without PremiumSoft prior written consent, or use the Trial / Demo Version of the Software for a purpose other than the sole purpose of determining whether to purchase a license to a commercial or education version of the software; provided, however, notwithstanding the foregoing, you are strictly prohibited from installing or using the Trial / Demo Version for commercial training purpose. You may only use the Not for Resale Version of the Software to review and evaluate the Software. You may receive the Software in more than one medium but you shall only install or use one medium. Regardless of the number of media you receive, you may use only the medium that is appropriate for the server or computer on which the Software is to be installed. You may receive the Software in more than one platform but you shall only install or use one platform. You shall not use the Software to develop any application having the same primary function as the Software. In the event that you fail to comply with this EULA, PremiumSoft may terminate the license and you must destroy all copies of the Software (with all other rights of both parties and all other provisions of this EULA surviving any such termination). Except with respect to Trial / Demo Version and Not For Resale Version of the Software, PremiumSoft warrants that, for a period of thirty (30) days from the date of delivery (as evidenced by a copy of your receipt): the physical media on which the Software is furnished will be free from defects in materials and workmanship under normal use. The Software is provided "as is". PremiumSoft makes no warranties, express or implied, arising from course of dealing or usage of trade, or statutory, as to any matter whatsoever. PremiumSoft provides no remedies or warranties, whether express or implied, for Trial / Demo version, and the Not for Resale version of the Software. Trial / Demo version, and the Not for Resale version of the Software are provided "as is". Except as set Forth in the foregoing limited warranty with respect to software other than Trial/ Demo version and Not for Resale version, PremiumSoft and its suppliers disclaim all other warranties and representations, whether express, implied, or otherwise, including the warranties of merchantability or fitness for a particular purpose. Also, there is no warranty of non-infringement and title or quiet enjoyment. PremiumSoft does not warrant that the Software is error-free or will operate without interruption. The Software is not designed, intended or licensed for use in hazardous environments requiring fail-safe controls, including without limitation, the design, construction, maintenance or operation of nuclear facilities, aircraft navigation or communication systems, air traffic control, and life support or weapons systems. PremiumSoft specifically disclaims any express or implied warranty of fitness for such purposes. If applicable law requires any warranties with respect to the Software, all such warranties are limited in duration to thirty (30) days from the date of delivery. No oral or written information or advice given by PremiumSoft, its dealers, distributors, agents or employees shall create a warranty or in any way increase the scope of ANY warranty PROVIDED HEREIN. (a) Neither PremiumSoft nor its suppliers shall be liable to you or any third party for any indirect, special, incidental, punitive or consequential damages (including, but not limited to, damages for the inability to use equipment or access data, loss of business, loss of profits, business interruption or the like), arising out of the use of, or inability to use, the Software and based on any theory of liability including breach of contract, breach of warranty, tort (including negligence), product liability or otherwise, even if PremiumSoft or its representatives have been advised of the possibility of such damages. The Licensor reserves the right to revise the terms of the EULA by updating the EULA on its website and in updated versions of the SOFTWARE. The Licensee is advised to review the EULA for each new version of the SOFTWARE. The Licensee's continued use of the SOFTWARE shall be deemed to constitute acceptance of any revised terms.